Wolfgang Baur’s wife Shelly likes to joke that I follow in his footsteps. After all, he edited Dungeon before I did, ran Dragon before I took the job, and slipped off to Wizards of the Coast before they bought TSR and hired the rest of us. Whenever Wolfgang smiles at Shelly’s crack, I like to point out that I was the one she took to the opera before she joined him in Seattle. We’ll always have Rigoletto, Shelly. When Jeff Grubb and I migrated to Wizards and established a West-Coast branch of the Alliterates, our writers’ group, Wolfgang was the first person we invited. Later, Jeff and I stood witness at Wolfgang and Shelly’s wedding. I like to say I was the bridesmaid, but Jeff has always been more Nathan Lane, me more Matthew Broderick. Anyway, I’ve known Wolf for over 20 years, leapfrogging jobs at first, then seldom working together but always hanging out. These days, Wolfgang somehow manages to balance a day job while running Kobold Press, all while he and Shelly mind their two little girls. As if that weren’t enough to keep him occupied, Wolfgang makes time for crazy cool freelance gigs like co-writing Tyranny of Dragons, the first adventure for the new edition of Dungeons & Dragons—along with our fellow Alliterate, Steve Winter, who’ll answer these same questions next week. Yes, some of this is familiar territory, but that’s okay: dragons never get old, and both players and GMs seem to relish the opportunity, for very different reasons. For GMs, it’s that iconic creature that appears in films and books and games, and in the case of Tyranny of Dragons, they appear in bigger numbers than we’ve seen since the days of Dragonlance. For players, it’s proving your character against the biggest sort of threat—and the undeniable thrill of big loot if you succeed. Featuring them in a new way was fairly straightforward: Wizard asked us to change the way dragons are viewed by the Cult of the Dragon and there are also changes to the Sword Coast that all make this a rather new take on dragons. In addition, I’m delighted that the new rules make dragon encounters more playable and just as terrifying. And the environment I designed for one of the dragon encounters is unfamiliar terrain, which will—I hope!—make a lasting impression on players who dare venture into that particular lair. 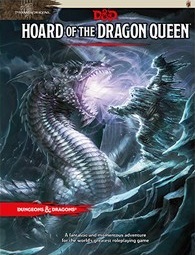 This was mostly Steve issue to wrestle with, as he wrote the first dragon encounter in Hoard of the Dragon Queen. However, I think it’s entirely possible to have a dragon campaign that involves lots of meeting dragons without incinerating new characters. In the Midgard Campaign Setting, for instance, there’s an entire empire run by and for the benefit of dragons, which uses dragons essentially as feudal lords and everyone else as their minions. The player characters might well meet a dragon as a sponsor for a mission, as a diplomatic or roleplaying obstacle, or simply as an interesting and somewhat arrogant NPC rival. Dragons might also lurk around the edges of an adventure, a threat that doesn’t quite materialize if the PCs are clever mice sneaking past them. That way, the dragon can return for furious vengeance after a few game sessions, when the PCs have levelled up a bit. The nice thing about dragons in D&D is that they are smart and generally have interesting personalities. So, roasting of PCs is not required to have a great encounter with dragons. Even if it is a lot of fun for the DM to roast the characters a little bit. 3. 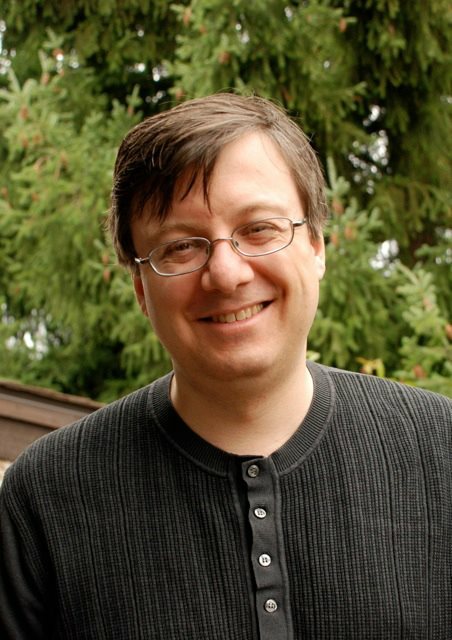 You and Steve co-wrote the adventure. What different qualities did each of you bring to the table? I brought a willingness to dive into new waters, push around some of the old tropes, and attempt to enliven the standard “this is the way Wizards has always done it” with some new, “this is what has worked for Kobold Press fans for years.” I’m always looking for ways to bring setting into the game, with details and hints of things that might be otherwise off-stage for the adventure. And I pushed hard for things I know fans like: new magic, new monsters, and not just the basics. A touch of the weirdness that makes D&D memorable. Steve was the one stumping for deadlier traps and less coddling of the players with “only challenges you can handle.” Some of the combats are frankly difficult or impossible for a group that doesn’t know any approach other than “charge and kill stuff.” There needs to be some player planning and some thought about what is wise. I like that somewhat deadlier approach myself, but it was an ongoing discussion. The blue dragon loves electricity, is fairly lawful and orderly, and is said to be a good parent (for a chromatic dragon, anyway). I’ll say that’s a pretty good match, and hey, I love a sandy beach too. Metallic is easy, I really identify with the brass dragon’s love of language. For me, that would be the Hall of the Fire Giant King near-TPK at my table many years ago, where a few fire giants decided that they were tired of pesky humans and laid in a stock of ballista bolts and boulders at the end of a long corridor. The PCs were sure they could charge faster than the giants could shoot. It did not turn out so well for the party then, and I decided to make sure that Hoard of the Dragon Queen would have a similar option for siege weapons and boulders in one of the sections I wrote. Remains to be seen whether the players consider dodging boulders a thrilling Indiana-Jones moment or a horrific nightmare that they should have avoided by stealth or some clever stratagems. Rocks fall—does everyone die? You can keep up with Wolfgang’s latest gaming ventures at Kobold Press. Check in next week as Steve Winter answers the same questions about his part in Tyranny of Dragons. I’ve been really impressed with the material from Kobold Press that I own. Granted most of that material is for Pathfinder (but also have the Midgard stuff for AGE), but they do a really good job of knowing the source material. I’m still on the fence in regards to 5E, mostly due to really liking Pathfinder as it hits that crunchy note I like, but am also intrigued with 13th Age, especially after making a character, and really want to run a non-Dragon Age AGE campaign, but I know the two adventures that Kobold Press is doing will be fantastic and that might be the deciding factor for me.